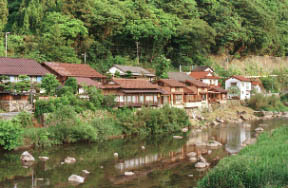 A Ryokan, enough rows of houses of a bath cottage, and Hii River. 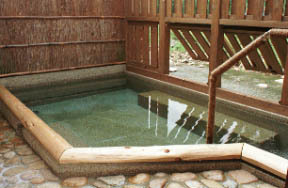 Brand-new Yumura Spa public bathhouse. 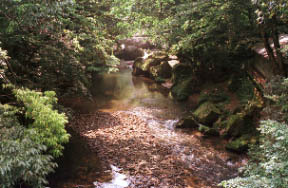 The stage of Yamata-no-orochi extermination, a sky KA deep pool. 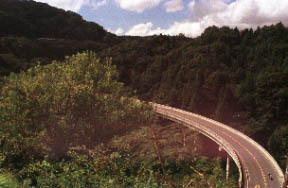 The Kisuki Line truck train (it is faintly to the left back), and a monster serpent loop. 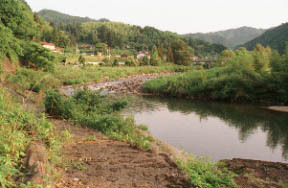 An Oni-no-shita-burui, about 2-km ravine beauty, and a promenade are improved.